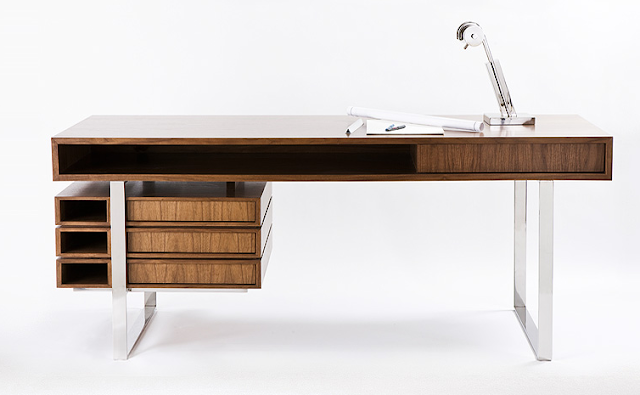 If It's Hip, It's Here (Archives): The Walnut & Maple Wood Boxeo Desk by Cliff Young, LTD. 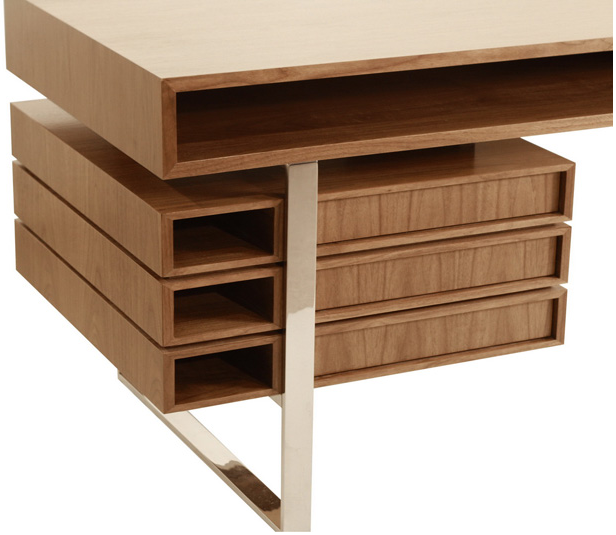 The Walnut & Maple Wood Boxeo Desk by Cliff Young, LTD. 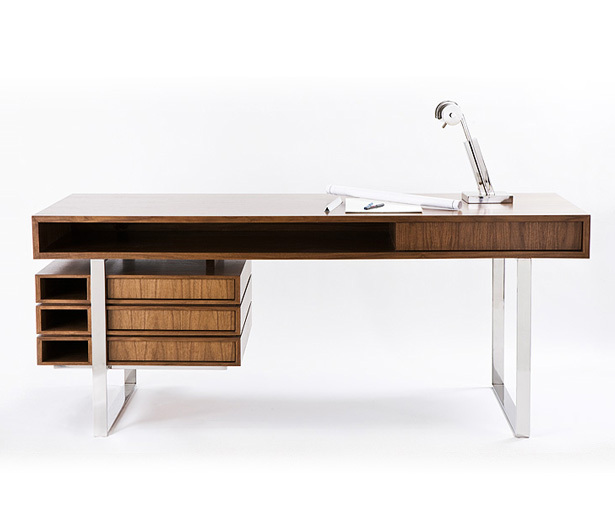 I'm just in love with this modern walnut and maple wood desk with polished stainless steel legs. The design, with it's floating top and drawers tucked beneath, remind me of the classic mid-century modern George Nelson floating top desks for Herman Miller, only in a more modern and streamlined version. * Stained plain sliced walnut with satin finish. 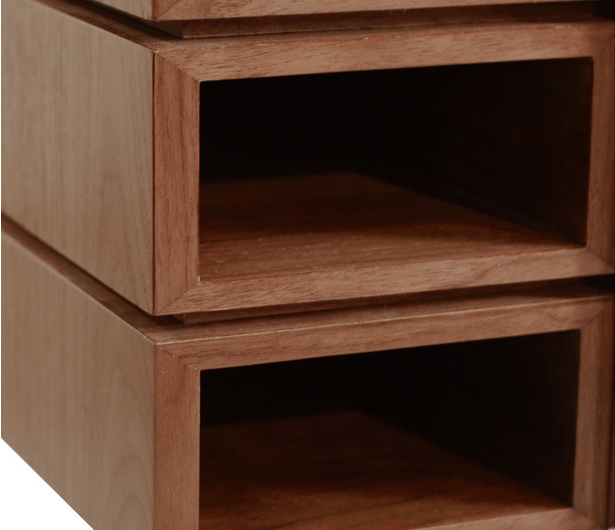 All maple drawer interiors. Polished stainless steel legs. * Features: Four touch latch drawers.